Thriftyfun! I feel blessed to be part of this community! Color Explosion Summer WreathCelebrate the summer colors seen in nature with this wreath! 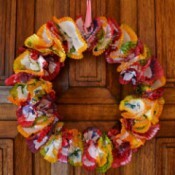 Made from cupcake liners that were dipped in food coloring, this wreath is not only colorful, but also easy on the budget. Bambi (Border Collie Cross)I got her on 29 November 2016. I accidentally came across her in a pet shop and just couldn't resist those lovely eyes. 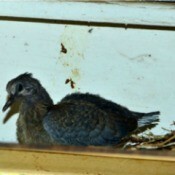 She was the runt of the litter, and was much smaller than her siblings. Lace Frill Sock Christmas AngelTurn a girl's cotton lace frill sock into a sweet little Christmas angel. A great way to use a mismatched sock for something useful. 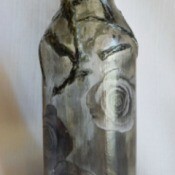 Antique Rose Upcycled Bottle VaseI am in the process of changing my décor in my house, adding a few new accents here and there. I do not have the finances to spend on overpriced store bought items, so I am recycling trash into treasure. 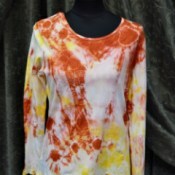 Flames of Love Tie Dye T-ShirtOur economy in South Africa has been hit by a rough patch. I love clothes that are unique, but most clothing items have just become too expensive. Here is a great way to add a modern touch to a cheap white T-shirt, without breaking the bank in the process. 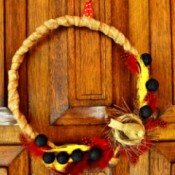 Elements of Nature Fall WreathTurn faux nature elements into a beautiful wreath for the fall season. Polypropylene Bag as Dog MattressI wanted to buy my dog a mattress for her bed, but the store versions were just too expensive. 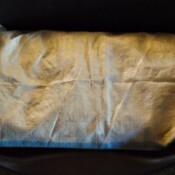 I turned an empty polypropylene bag and old newspapers into a recycled dog mattress. 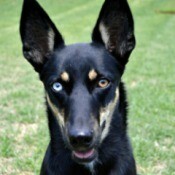 Very cost-effective and my dog loves it! 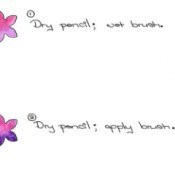 How To Use Watercolor PencilsWatercolor pencils can be very versatile, and can be a great way to express your creativity. They can also be a wonderful tool for adult coloring pages. Oh Christmas Tree Jar LightTurn an empty clear glass jar into a Christmas jar light. 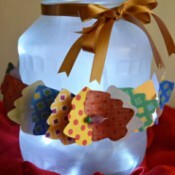 Use the jar light to decorate your table for Christmas Eve, or make a few to decorate your front porch. A thrifty way to decorate for the festive season! 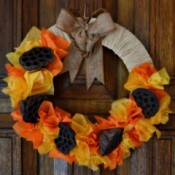 Lotus Pod and Crepe Paper Fall WreathHere is a colorful wreath for the fall season! This is a great way to add some drama to your front porch. 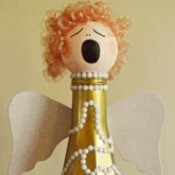 White and Gold Upcycled Bottle Christmas AngelUpcycle an empty glass bottle into a beautiful angel for Christmas. 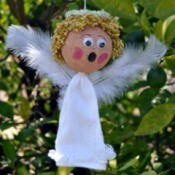 With a gold and white dress, and white glitter wings, this angel will add a touch of glamour to your Christmas decorations. Love Grows Valentine CardThis Valentine's Day, celebrate your love for your significant other with this easy card. 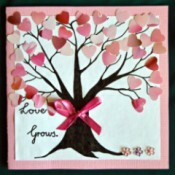 Using a printout of a tree and hearts punched from an old calendar page, this card is also easy on the pocket. Raised Salt Fall Kids' ArtworkLately I have started using food colorings with the kids in my art class, as it is more cost effective and adds bolder colors to the end product. 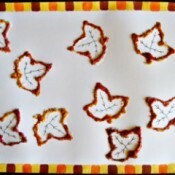 Combining food colorings with salt and glue offers a great technique for kids to explore their own creativity. Fun Fall Activities For KidsIf you are looking for ways to keep the kids entertained this fall season, look no further! 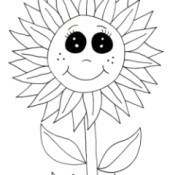 Here is a fun sunflower coloring page and a crossword puzzle to keep them busy. A great way to celebrate the symbols usually associated with the harvest season! Back to School Kids' Coloring PageHey kids! Celebrate the start of the new school year with this coloring page! 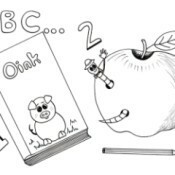 This fun page features a reading book, an apple, a pencil, and a few letters and numbers - all the things that you can relate to when you think of school. So, grab your coloring pencils and get ready to have some fun! Bunch of Newspaper RosesIf you love flowers, but can't afford the real McCoy, then these DIY flowers are just what you need. 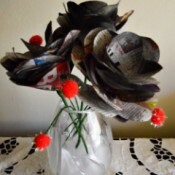 Turn newspapers and pompoms into flowers. Displayed in a suitable glass vase, you will have flowers in your house that will last a long time, without breaking the bank in the process. You can make as many roses as you want! Fall Wreath Birthday CardUse food colorings to make paper leaves. 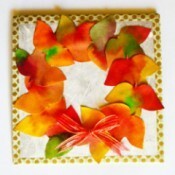 Then turn the leaves into a striking fall themed birthday card.